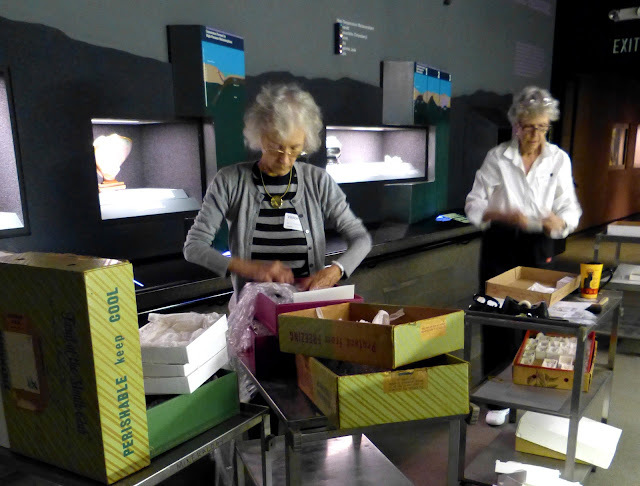 Natural History Museum of L.A. Minblog: Packing up the Deutsch Gallery! Packing up the Deutsch Gallery! Big news! 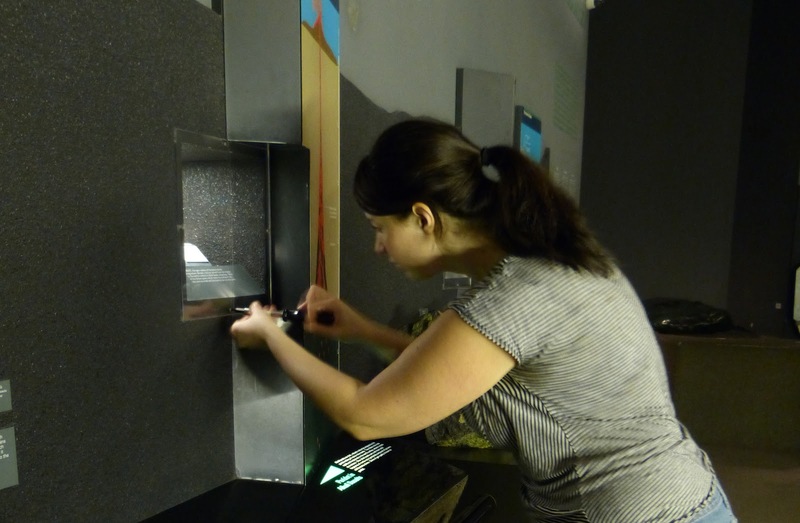 The museum is installing a new HVAC system (badly needed, really). The no-so-great part is the 70 foot long chiller is going to be installed above the ceiling in the Mineral Hall. 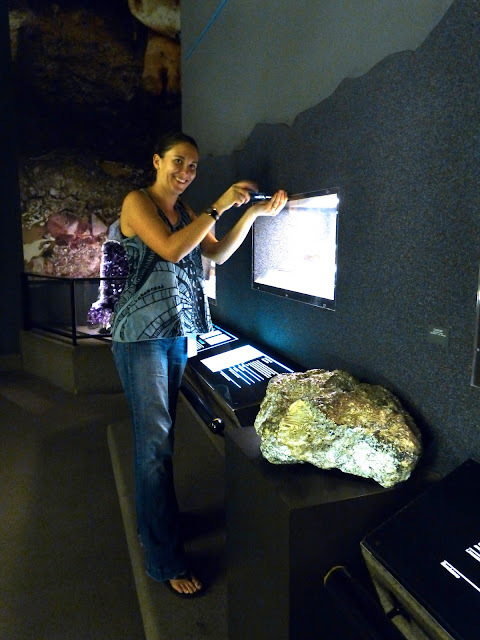 As you may be aware, on October 1st, the Deutsch Gallery closed, and the minerals sciences offices + vault close will be closing soon. The rest of the Hall and the Hixon Gem Vault will remain open while the installation goes on. In preparation for the big move, we planned to de-install the Deutsh Gallery and had to pack the specimens for storage for 6-8 months! A few members of the council helped us move everything out on September 20th. A quick snapshot of our gallery! Click to see more pictures of our deinstallation! The inside of one of our displays. Alyssa takes off the glass. 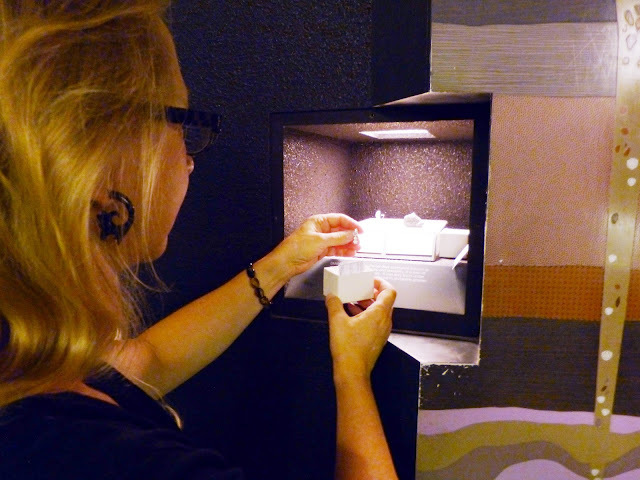 Danusia Niklewicz takes out a pair of earrings that she installed 30 years ago. Now everything has been packed up, stored, and the rest of the gallery has been covered in plywood to protect them from any falling debris that might arise from the construction.